What is the responsibility of an American business owner in making deposits in the company bank accounts to keep them from being flagged as an alert of potential wrongdoing, i.e., to avoids a Currency Transaction Report (“CTR”) being sent by the financial institution, as required by federal regulation, to the United States Treasury and the Internal Revenue Service? Hopefully, this article will provide help to countless businesses that deal with lots of cash payments in their ordinary course of operations each day and who want to avoid the suggestion that they’re doing something illegal or wrong, or a more formal investigation by the federal authorities. In other words, this article hopes to educate individuals and businesses on how not to deposit cash in staggered manner or in structured cash deposits that can make the business owner criminally liable for “structuring,” and what they can face if they are targeted for violation of federal structuring laws. Lots of folks that own small to medium size businesses receive large amounts of cash. This cash eventually gets deposited in the business bank account. The amounts received in cash can vary depending on the type of business. For example, a Pharmacy, Doctor’s Office, or Dental Office will likely receive cash payments in small increments from a large number of customers or clients. This is the most common way that cash in collected in a small to medium size business. Other businesses occasionally receive large payments from big clients in cash. This scenario is a less common, of course. There are special federal reporting rules that apply to each of these cases. For example, a business owner who receives more than $10,000 cash from a single customer (whether paid in increments or lump sum) will be required to fill out an IRS Form 8300 which is found on the Internal Revenue Service website. This paper is not geared to explain this situation, since it is more uncommon with regard to federal criminal prosecutions for violation of the laws requiring reporting of certain financial transactions to the Federal Government. Here, the focus is upon the business owner’s responsibility to not make deposits in bank accounts so as to prevent the bank from triggering a Currency Transaction Report (“CTR”) to the United States Treasury and the Internal Revenue Service (“IRS”). Since I have a great deal of experience defending so called“structuring” cases in Federal Court, I will also explain how the Federal Sentencing Guidelines apply to these types of prosecutions. I will also describe the types of evidence upon which the United States Attorney’s Office will likely rely to prove their case in court. Finally, I will clarify plea negotiation considerations for these types of cases and how an experienced defense attorney can navigate the negotiation with the United States Attorney’s Office so that his client receives the lowest possible Federal Sentencing Guideline calculation and ultimately the best sentence possible. Structuring is lawyer jargon (legalese) for a process whereby a person or business (not exempt under title 31, section 5313(d),(e)) makes a series of cash deposits in one or many bank accounts in increments of $10,000 or less so as to cause the depositing bank to likely not make a CTR to the Federal Government. The person intentionally breaks down cash into a series of smaller deposits so the deposits fly under the radar of deposit amounts that the bank must report to the federal government. Hopefully, the federal government never knows about all this cash that is slowly drifting through the bank’s processes (if the plan works). Banks have to report big cash deposits to the federal government as a way to fight crime. Specifically, money laundering. Congress has set the amount of $10,000 as the minimum amount of cash being presented in a single deposit to a financial institution governed by United States law which must be reported to the federal government as part of the federal authorities’ fight against money laundering of ill-gotten gains. Deposits of $10,000 or more aren’t private: under federal law, the IRS and the U.S. Department of Treasury will be informed of this transaction. 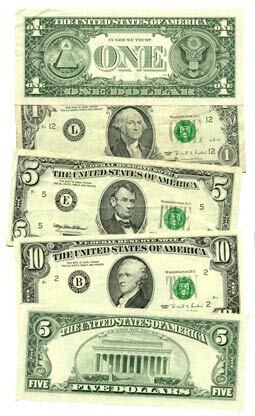 The law that imposes the CTR requirement upon the Bank derives from the Money Laundering Control Act of 1986 and the earlier enacted Currency and Foreign Transactions Reporting Act (Bank Secrecy Act) of 1970, two laws passed by Congress many years ago as the federal government responded to more and more U.S. financial institutions being used as intermediaries by criminals with cash on hand. Money-laundering is the target. Of importance here, regarding federal reporting requirements placed upon banks are Title 31 USC Section 5313(a) and Code of Federal Regulation (“CFR”) title 31, section 1010.3131. Here is an example of what happens here in real life. Say that you own and operate a small Doctor’s Office. You collect cash payments and co-pays from patients. Let’s say that instead of depositing this money in your business operating account, you keep the money in a safe deposit box or under your mattress; it doesn’t really matter where it is. Let say you do this for several years and accumulate approximately $650,000 in cash.